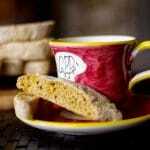 Cappuccino White Chocolate Biscotti combines the favorite Italian, crunchy cookie and cappuccino all in one. Perfect for snacking or holiday gift giving. Today is recipe #9 on the Holiday Baking list for these Cappuccino Chocolate Biscotti. 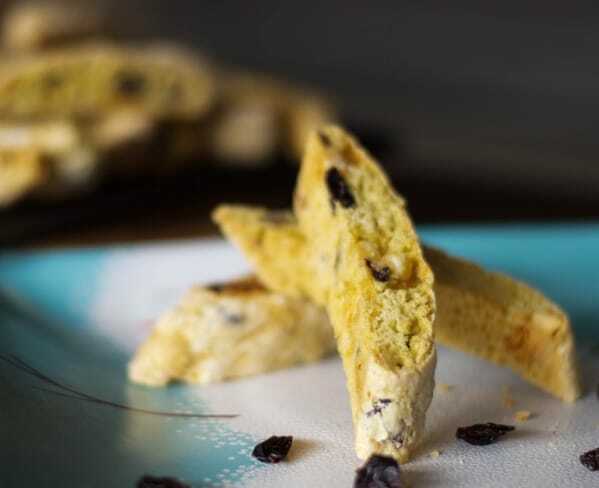 Biscotti is one of my favorite desserts because they have just the right amount of sweet to be a dessert, yet not overly so. I love dunking them into a cappuccino after a meal, but they’re also great to pick on for a weeknight snack. 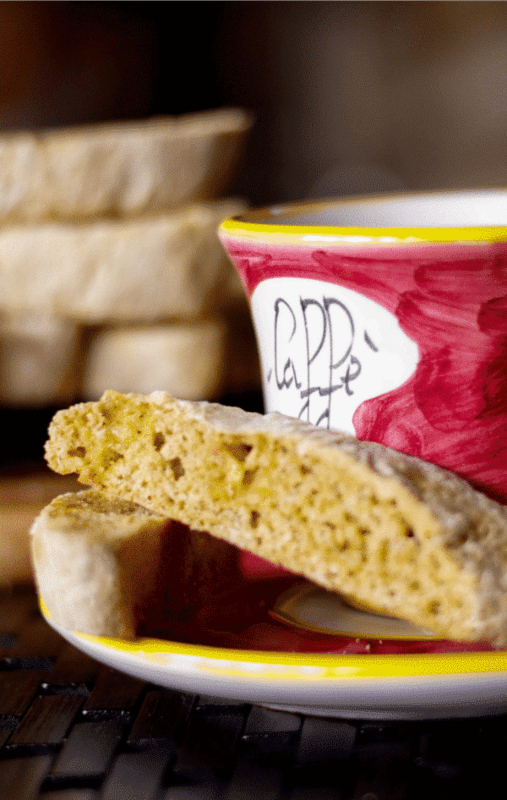 For this recipe, you’ll need all-purpose flour, granulated sugar, baking powder and baking soda, vanilla extract, eggs, freshly brewed espresso or strong coffee and white chocolate chips. Combine the flour, sugar, baking powder and soda in a bowl until well blended. 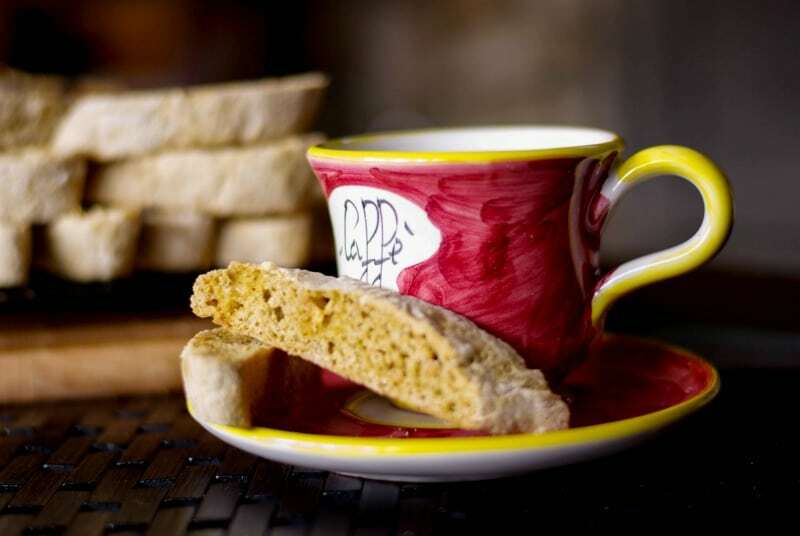 In a separate bowl, whisk together the eggs, espresso and vanilla; then add to the dry ingredients. Mix well; then fold in the chocolate chips. Turn the dough onto a lightly floured surface and knead the dough until it is no longer sticky; then form two 12-inch long log shapes. Gently press down on the dough to flatten it a bit so it is no higher than 1-inch. Spray a baking sheet with cooking spray, add the dough and bake at 325° F for 30 minutes. Remove from oven and let cool, then slice diagonally into 1/2″ thick slices and put them back on the baking sheet. Bake for an additional 8-10 minutes per side, then remove from the oven. Let cool and allow to harden before serving. 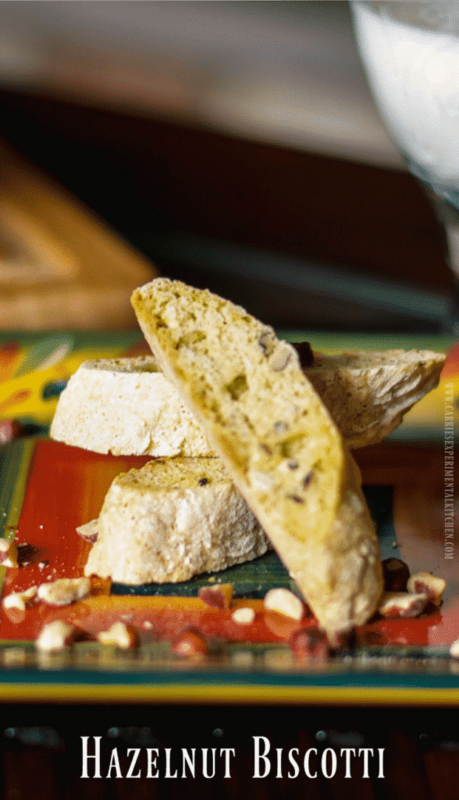 Makes 2 1/2 dozen biscotti. ~Enjoy! Combine the flour, sugar, baking powder and soda in a bowl until well blended. In a separate bowl, whisk together the eggs, espresso, and vanilla; then add to the dry ingredients. Mix well; then fold in the chocolate chips. Turn the dough onto a lightly floured surface and knead the dough until it is no longer sticky; then form two 12-inch long log shapes. Gently press down on the dough to flatten it a bit so it is no higher than 1-inch. Spray a baking sheet with cooking spray, add the dough and bake for 30 minutes. Remove from oven and let cool, then slice diagonally into 1/2" thick slices and put them back on the baking sheet. Bake for an additional 8-10 minutes per side, then remove from the oven. Let cool and allow to harden before serving. 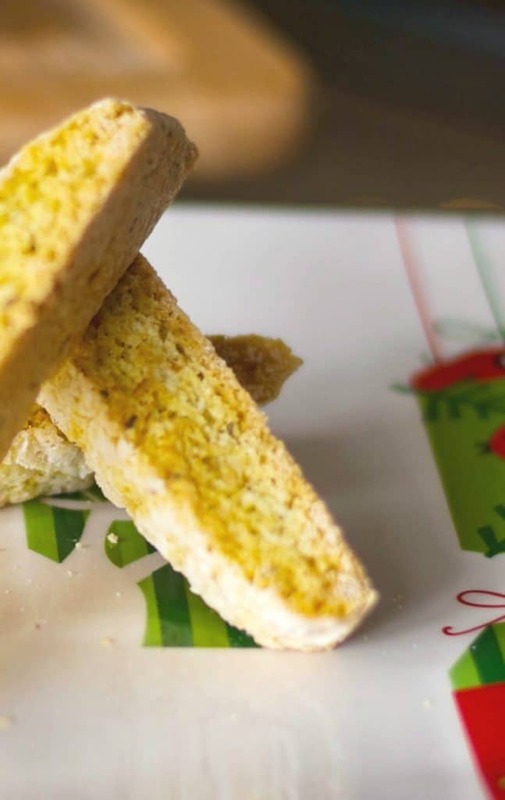 Makes 2 1/2 dozen biscotti.